New research report “Global and China Printed Circuit Board (PCB) Industry Report, 2011-2012” developed by ResearchInChina has been recently published by Market Publishers Ltd. The report reveals that last year the growth in global output value slowed down to only 5.9%, with the figure expected to further trend down to roughly 4% in 2012, while China's PCB output value is estimated to reach USD 13.22 billion in 2012, representing an annual growth of 7.6%. PCB is the cornerstone of the electronics industry, and the circuit of all electronics requires PCB. In 2010, the global output value of the printed circuit board (PCB) industry grew by 23.8%, a record high since 1998. Last year, the growth in the world output value slowed down to only 5.9%, with the figure expected to further trend down to roughly 4% in 2012. China's PCB output value is estimated to reach USD 13.22 billion in 2012, representing an annual growth of 7.6%. Last year, the production value of Taiwanese PCB makers operating in China accounted for 37% of the country's total, followed by Hong Kong companies, with 22%, and European producers, with 19%. In the face of tougher operating challenges in eastern and southern China, including labor shortages and rising wages, Taiwanese PCB producers operating in the country are beginning to relocate further inland, mostly centering in Hubei and Chongqing. Of the top 25 PCB businesses on the mainland in terms of sales revenue, eight are from Taiwan, compared with seven from Japan. Most Japanese PCB operators in China are business groups, while those from Taiwan are small and medium enterprises. New research report “Global and China Printed Circuit Board (PCB) Industry Report, 2011-2012” developed by ResearchInChina has been recently published by Market Publishers Ltd. The research report delves into a detailed discussion of the rigid PCB industry from a global perspective and focuses on an insightful review of the sector in China. 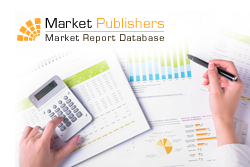 More new market reports by the publisher can be found at ResearchInChina page.